The DENAS Complex is user friendly to start treatment session operator should use the menu and select the necessary frequency or program in “Modes”section. The operator can can read on the screen brief description of the mode or frequency by just clicking on the button. This function is very useful for beginners but also for experienced users. The DENAS Complex results from “SCREENING” mode are now memorized by the device. The menu allows you to take measurements in any area in according to the operator’s choice and allows you to choose one of the 6 variants of the procedure. In according to the results from SCREENING test operator can define most effective zones for treatment in the cervical, thoracic, lumbar, and in the facial area. The DENAS Complex is equipped with a large color LCD screen that displays the current program and necessary zone for treatment at the same time. The DENAS Complex “Symptoms and Diagnosis” program is very useful for beginners. 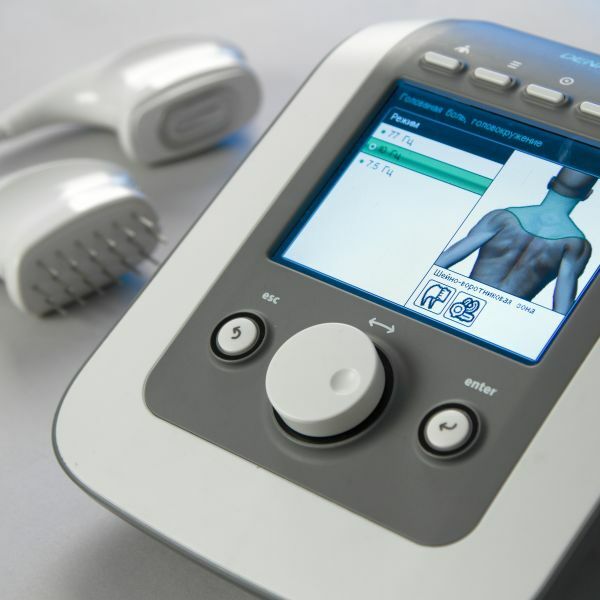 It allows the operator to choose a symptom or diagnosis and the device will suggest regimen, zone, time of session and also displays suggested electrode for treatment. The DENAS Complex now offers 50 preset modes for health issues compared to the top of the line hand held PCM4 which offers 24 modes.The operator simply chooses diagnosis hooks up chosen applicator, chooses individual energy level and enjoys the DENAS therapy. The DENAS Complex has been developed for the professional therapist and alternative medicine specialist and is also available for family use at home. The DENAS Complex can be used in the clinic by setting the unit on a cart or counter, it can also be used as a portable clinic for house calls or sports medicine on the field. This cutting edge technology continues to offer Hospital, Clinics and Therapist and individuals a drug free non invasive alternative approach for acute and chronic pain as well as internal health issues. Safe and effective with no side effects makes DENAS therapy the choice of millions worldwide. For more information or to purchase the DENAS Complex for your practice.